Fonseca is one of Locus's most inspiring freelance success stores. He moved to Prague 3 years ago from Valladolid, Spain (one of the few members to join Locus before he arrived), intent on becoming a successful location-independent marketing consultant for the Spanish market, without being quite sure how he could pull it off from Prague. He started a marketing consultancy and just couldn't figure out a way to get it going. 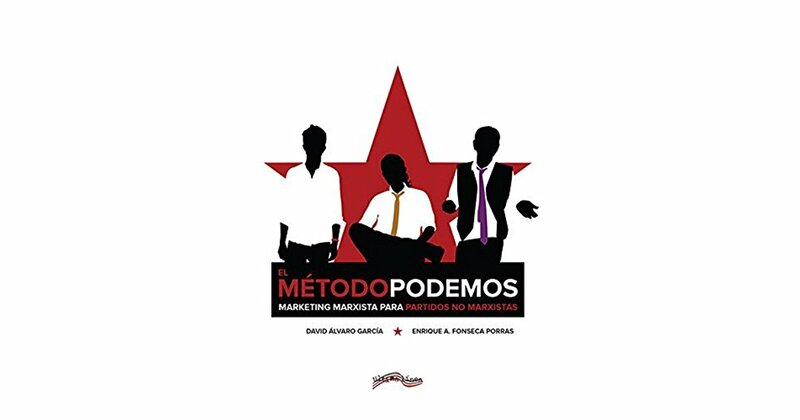 A couple months before the Spanish national elections, almost on a whim and struggling to figure out how to move forward, he and a Spanish colleague decided to write a book about how the non-Marxist political parties should learn from the marketing strategies of the Communist party. They finished the entire book within a month. Not long after, they had offers from multiple Spanish publishers and were soon launching a book promotion. 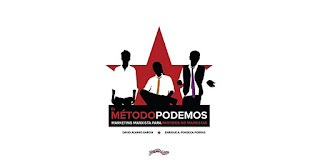 El método podemos: Marketing marxista para partidos no marxistas became an overnight success in Spanish political circles (luckily the publication coincided with national elections supporting their case), giving Fonseca and his co-author immediate recognition. Finding success in following his passions, Fonseca turned with two colleagues to vlogging, started their own politics YouTube channel, Visualpolitik (update as of 22 Mar 2018, the Spanish-language channel has more than 565,000 subscribers, and has spun off an English-language version that's about to hit the 380,000 subscriber mark)! From not being sure he could continue his freelance life in Prague to publishing a book to becoming a successful vlogger, Fonseca provides an inspiring example that--at least sometimes--following your passions can be the secret to success. - Why write a book on political marketing? - In your book, you write that your goal is to "sell a solution, not an ideology" can this political marketing techniques be applied to other business sectors? Yes, there a small differences in the application of these techniques from the political sector to the business sector, but that central Marxist philosophy remains. There must be an emphasis on first completing market research to understand the issues plaguing people. Next is the construction of a solution that will appeal to the masses, remembering it is people’s perceptions that dictate their decisions. It is marketing this solution and strategy behind it that can transcend the business and political world. - What are you doing today with your YouTube channel? Currently Fonseca is working with a few partners who have crafted a YouTube channel that posts videos on international politics and global issues. They first launched a Spanish channel in February of 2016 with the goal of providing further background and a greater context on international politics. The channel does not focus on the widely covered issues, but instead chooses issues they believe to be largely impactful and under covered global issues. Just this past February an English channel has been launched to reach a larger audience and help viewers better understand the background that goes into complex international relations and issues today. - How does your YoutTube Channel help you fulfill your passion for storytelling? Fonseca has a passion for sharing ideas by means of storytelling. The YouTube videos he creates bring all of his strengths and interests together to form a cohesive story. He uses his political knowledge and background along with his illustration and graphic design skills together to create a story or video that educates the audience on current issues around the world. - Do you have any upcoming plans for expansion? The focus today is on fostering the new English channel and working to expand that to more viewers. In the future Fonseca would like to try to expand the YoutTube channel potentially into new markets, more languages, and other topics. 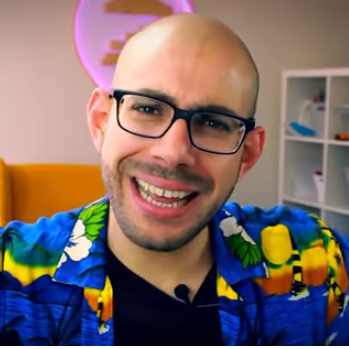 They are considering the idea of an apparel line based on the channel’s content. Fonseca also mentioned the possibility to choosing a completely new topic or perspective to share via podcast or other media. The future seems to hold many possibilities to expand reach. - What brings you to Prague? After writing his book and beginning to do freelancing work Fonseca decided he wanted a new adventure and wanted to move abroad. He spent a lot of time researching places and looking into what would fit his wants and needs best. This included practical things like taxes, and living costs, along with lifestyle categories like livelihood of the city. At the end of the research Prague came out on top as most favorable overall. Three years ago Fonseca moved here and has not looked back. - Favorite part of the city? Naplavka is Fonseca’s favorite part of the city, especially during the spring and summer because it’s so lively. He likes that there is a quaint farmers market right on the river always with fresh air and nice outdoor scenery to take in. - Why did you choose to join a coworking space, and specifically Locus? Fonseca wanted to join a co-working space as soon as he came to Prague to help him find his own community within the city. Locus ended up being the choice because “Locus answered their phone.” Fonseca explained that he really appreciates a business who will answer and get back to you promptly. He was able to speak with Will and immediately felt like it would be the right space. Will has continued to positively influence Fonseca as a mentor of sorts. - What have you gotten out of your membership at Locus Workspace? Locus has reached and exceeded Fonseca’s expectations for finding a community in Prague. He has used the membership to make some professional connections and network with people to help advance his career. However, more important than that to Fonseca has been the personal connections he has made. Fonseca considers many of the Locus members his friends. He even said that his life in Prague is very much connect to Locus and its members. - Interesting fact about you that we wouldn't otherwise know? Fonseca prays every morning despite being an atheist. He explained that being from Spain and growing up Catholic and having the religion in his heritage it is something that will always have a shaping impact on his life even though he does not practice the religion. Now Catholic prayers offer a way from him to keep time during morning workouts.